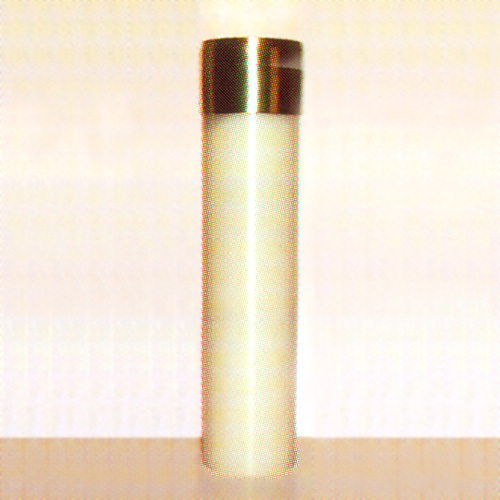 Handcrafted quality nylon refillable oil candles, 2-1/2" diameter. Comes complete with burner (brass follower) and wick in either high polish brass, or satin brass. Optional brass socket. All Candles are manufactured with straight base. Custom modification to accommodate any size socket available upon request. Custom heights and diameters also available. Please call for information.